So today was supposed to be my guest post over at Embellished Nails. She went on a cruise for a while, and asked for some guest posters. So ahead of time, we all sent in our posts for her to set up. Mine went through...mostly. Unfortunately, I don't see the images, which, let's face it, is the best part of nail blogs! So, if you care about the story behind these nails, head over to Emily's blog for my guest post. Since the images aren't working over there, I'll put them here. 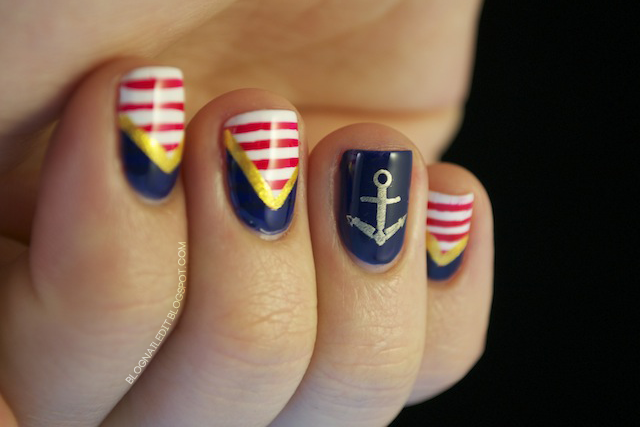 In honor of Emily's cruise, these are my sailor nails! Just realized the pictures didn't work.. 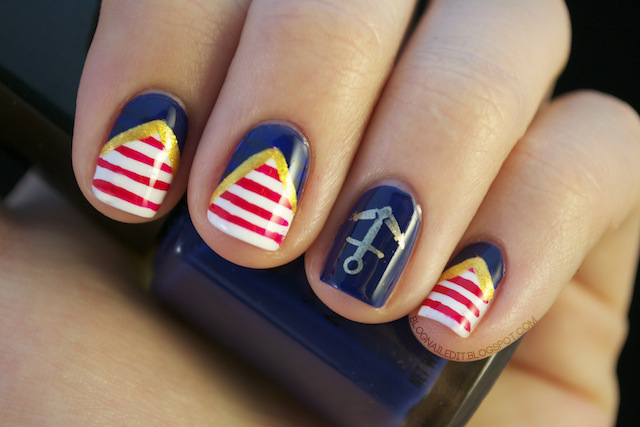 I'll be reposting your mani and post soon because it was one of my favorites! I'm sorry for the mixup! Oh hey no worries. I've really been enjoying the other posts.